When girls work together, they can accomplish remarkable things! As a Coach for Girls on the Run, you’ll receive tools, training, and materials to lead a team of girls (3rd-5th grade & 6th-8th grade) toward their goals and help them recognize their limitless potential. Our Spring Season 2019 has started, and we will begin reaching out to coaches about Fall 2019 in the upcoming months. No prior experience with Girls on the Run, coaching or running is necessary. Girls on the Run provides a full training and all lesson plans & materials needed to be a successful coach. Coaches must have availability on weekday afternoons, once or twice per week over a 10 week fall or spring season. Men and women are encouraged to apply. Must be 18 years or older. Girls on the Run teams meet twice a week for 75 - 90 minutes; for 10 weeks. The majority of our sites meet Monday - Friday during after-school hours, between 3 pm - 5pm. Coaches are required to commit to at least one day per week; two days is preferred. Coaching applications are accepted year-round. Coaches are needed throughout Manhattan, Brooklyn, the Bronx, Queens and Staten Island. You may view our current program sites here. All coaches who have undergone an initial phone interview will receive a site preference survey, and will be asked to rank their top three coaching locations. Anticipate a time commitment of 2-3 hours per week for those who coach once per week and 4-5 hours per week for those that coach twice per week over the 10 week season for practices, lesson prep time, and commuting. Prepare, organize and lead weekly lessons with your coaching team in an engaging and positive manner. Model effective communication, problem-solving, and behavior management. Facilitate your team’s community impact project. Interact with parents and site liaisons as needed. Attend the end-of-season Girls on the Run 5k with your team. Inspire and motivate others to believe in the Girls on the Run mission. Amidst the conversation, laughter, hugs and energy awards, you will witness transformational change in the girls and don’t be surprised if you realize that you are positively changing as well! The program may end in 10 weeks, but for our coaches and girls, the finish line is just the beginning. Ready to make a difference and encourage girls to realize their full potential? 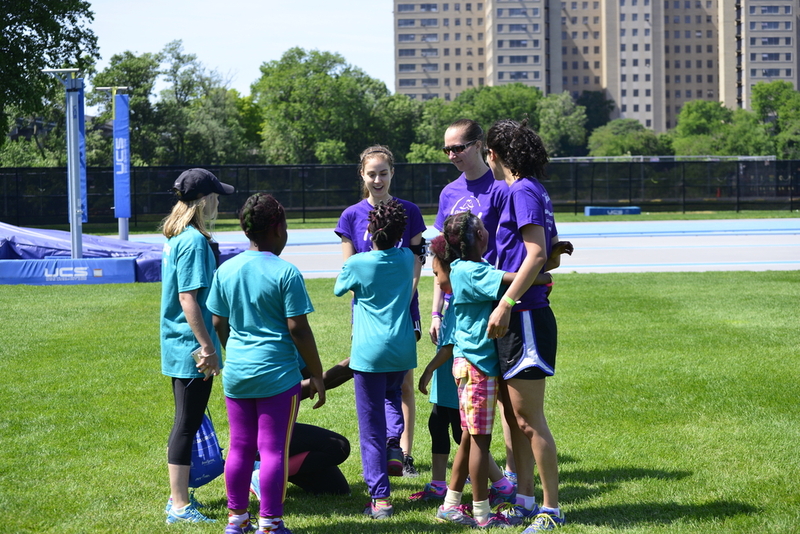 If you have further questions regarding coaching, email coaches@gotrnyc.org. If you’re interested in getting involved this spring, please find more information here about joining us at our Spring 2019 5k! Registration is now open to run, walk, and volunteer!